You know that it’s summer when the lavender starts to flower non-stop. We cut the blossoms every other day to make little lavender bouquets which we leave lying around perfuming the house with its’ wonderful summer scent. 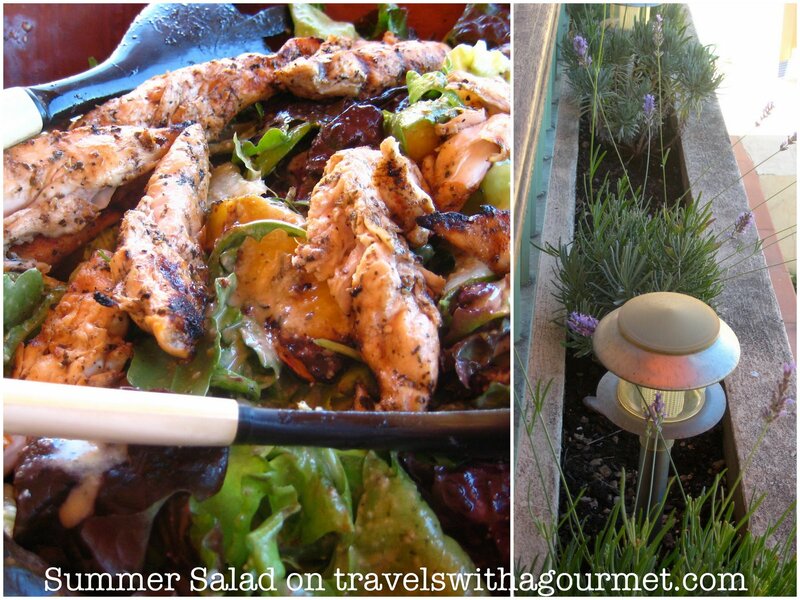 I already posted a recipe for a grilled chicken and nectarine salad from my friend Rima but I’m writing about it again because it’s so delicious that it’s become our favorite “grilled” salad. As we are eating al fresco and off the grill for the summer (less mess), we had it yesterday evening and finished off with some espressos on the terrace.